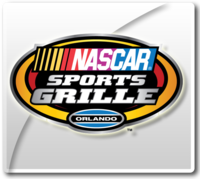 After exploring the "World Center of Racing" make a pit stop at the 4th Turn Grill. Quench your thirst with an ice cold Pepsi and satisfy your hunger with an entrée from Americrown's on site grill. Our concept is more than just a 50?s-style diner with 12 signature burgers. We are also a family destination, complete with a full menu featuring breakfast, lunch, and dinner. 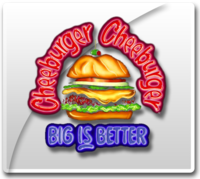 We specialize in mouth-watering Hamburgers, Omelets, Skillet Breakfasts cooked to perfection, delicious Sandwiches, world famous Meatloaf and Chicken Fried Steak, fabulous BBQ Ribs and scrumptious desserts.And we can?t forget those world-famous Malts and Shakes made with All-natural Breyer?s Ice Cream. 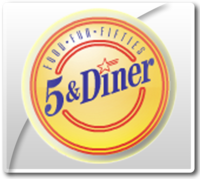 At the 5 & Diner, you can always feel comfortable pulling some tables together with your friends and staying as long as you like. 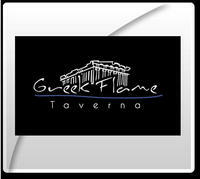 We are a fun, comfortable and easygoing restaurant, like the personalities of our customers. We're fresh, vibrant and fun. We're a little bit classic mixed with a whole lot of contemporary. We're the new Orange Attitude at A&W. The Orange Attitude is about bringing more to each of our customers -- more choices, more individuality, more personal service. And it's about bringing more opportunities and more energy to our employees and franchisees. Say hello to the new Orange Attitude at A&W -- the ultimate drive-in experience. 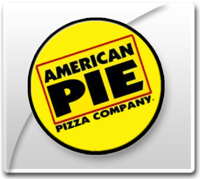 American Pie Pizza Company food is prepared to order. That means we'll make it just the way you like it. If you have dietary restrictions, just let us know how we can help. Amigos is a family-owned and operated business. When you are here, we want you to feel like family and enjoy your meal, prepared to your satisfaction in a relaxed friendly environment. 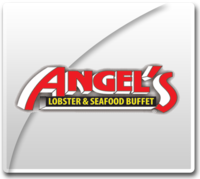 Angel's Seafood Buffet is one of the best restaurants there is in Kissimmee. It is an all you can eat lobster and seafood buffet in a casual setting with 50's type decor. Come on in and let us take you back in time to the 50's, 60's & 70's. Enjoy our great music, old fashioned memorabilia and impeccable service! Where the locals go for good food and good feelings! Largest & Best Lobster and Seafood Buffet in Town! "Where the locals go for Seafood!" Baskin Robbins - We 're the place for innovative, delicious and fun treats in your neighborhoos! For Over 62 years, we've been delighting customers with our irresistible treats. In 1985, Jim Mellody dreamed up the idea of a neighborhood pub where friends and families could gather to enjoy good food and sports in a fun, comfortable atmosphere. Together, with his wife Jeanette, they embellished the Brady family name and created the now-famous Beef 'O' Brady’s®. 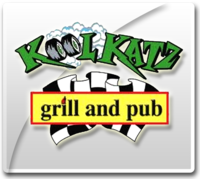 Their first restaurant opened in Brandon, Florida. The regulars quickly nicknamed it "Beef ’s®." Inspired by a love of sports, Jim filled his restaurant with TVs and satellite dishes so patrons could enjoy watching a vast array of sporting events. He also covered the walls with authentic sports memorabilia he had collected through the years. As a final touch, he made sure a traditional Irish Blessing graced every menu, bidding good fortune and happy times to all who visited. As the Beef's® story grew, so too did the menu. It was important to Jim that guests have variety (like the award-winning wings available in 12 signature sauces) as well as signature favorites with an Irish twist (like Mashed Potatoes in Guinness Gravy). Today, Beef 'O' Brady’s® is one of the fastest growing restaurants in the country. Some call it the "Luck of the Irish." Jim would call it a darn good dream that took a lot of hard work. 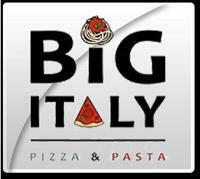 The inspiration for Big Italy began more than two decades ago in a quaint town in Capena Italy, located on the outskirts of Rome, where the Montesantis owned a small, family restaurant. They served a variety of pizza and pasta dishes based on local recipes, each made with high-quality, hand-picked fresh produce and featuring homemade sauces. Twenty years later, Michelangelo Montesanti teamed up with his friends, Marco Marzocca and Paulo Simoes to bring secret family recipes to the United States through the newly minted Big Italy restaurant. Big Italy prides itself on great authentic food, big portions and a lot of dishes to choose from. When Old Town was a sandy field with only a construction trailer on the corner, Byron and Norma Sutton decided to open a popcorn store in the town that was building up to be a fun place with a ‘50’s rock ‘n roll theme and a great variety places for gifts, souvenirs, food and entertainment. The Kissimmee Popcorn Company was indeed the very first store to open in September, 1986. Shortly there after, a previously leased but yet to be occupied corner place became available. Byron became enthusiastic about the place because it was one of a few that had a 40 ft. ceiling. Why? Because you could hang an airplane from it!! Byron, a born aviator and trained pilot for both the military and the commercial airlines, didn’t have an airplane to hang from that ceiling but that wouldn’t stop him! So, they leased the space and went shopping. There just so happened to be a collector of vintage aircraft at the local Kissimmee Airport and there they found a 1916 Fokker bi-wing airplane. After taking it out for a test flight, the decision was easy. Then came the question: what goes underneath it? But then, every pilot wants to own a bar, right? So that was an easy answer. 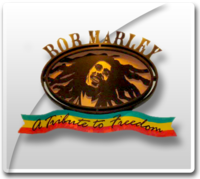 "DON’T GAIN THE WORLD AND LOSE YOUR SOUL, 'CUS WISDOM IS BETTER THAN SILVER AND GOLD" - Bob Marley Share in a one-of-a-kind celebration of music and culture as Bob Marley–A Tribute to Freedom takes you on a musical journey through the life of the "King of Reggae." Bob Marley’s songs of faith, hope, rebellion, and determination have brought inspiration and joy to audiences everywhere. Working closely with Rita Marley and the Bob Marley Foundation, we have created a replica of Bob’s home on 56 Hope Road in Kingston, Jamaica. Inside, artifacts, photos, and video clips from his legendary career surround visitors in the open-air veranda and courtyard. **At Universal CityWalk Orlando restaurants as noted - MAXIMUM VALUE $6.99 + tax • Present to server when ordering • Gratuity not included • Not valid with other discounts or promotions • Offer subject to change without notice • Alcohol not included • This coupon cannot be used for any other application without authorization from our authorized restaurants • Limit one coupon per person, per visit • Coupon expires 12/23/2012 • Not valid 12/24/2012 thru 1/1/2013 or for/during separately ticketed events • Valid for children 9 years and younger • © 2011 NBA Media Ventures, LLC NASCAR Cafè & NASCAR TM & ® National Association for Stock Car Auto Racing, Inc. Pat Ó Brien's Bar, Inc. Latin Quarter Entertainment, Inc Jimmy Buffett's® Margaritaville ® Jimmy Buffett Universal elements and all related indicia TM & © 2011 Universal Studios. © 2011 Universal Orlando. All rights reserved. The World Famous Boston Lobster Feast is now celebrating 22 years in Orlando! What started with a couple of lobsters and a dream has become great restaurants, millions of lobsters and lots of great, friendly service.Now we've added to the feast...more than 60 items! We have fried, grilled & broiled fish of all kinds, big piles of shrimp, crab, mussels, crawfish, oysters, New England Clam Chowder, Manhattan Clam Chowder, lobster bisque, New England Steamers, littleneck clams, fried clams, smoked salmon, vegetables, corn on the cob, London Broil, Roast Beef, pasta and all the Maine Lobster you can eat! If you have room, you can visit our all-you-can-eat dessert bar with key lime pie, pecan torte, chocolate cake, cheesecake & chocolate chip cookies. There's a kids menu with steaks & chicken if you're not in the mood for lobster. We even have a full service bar. You and your family are welcome anytime. 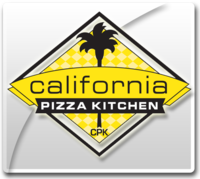 California Pizza Kitchen - Known for its innovative non traditional pizzas, such as the "Original BBQ Chicken Pizza", BLT, Thai Chicken, and Jamaican Jerk Chicken pizzas. They also serve various kinds of pasta, salads, and desserts. 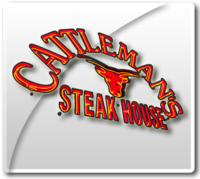 Cattleman's Steakhouse - Where the steaks are most tender! 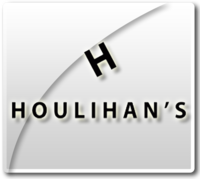 Family owned for over 12 years offering dry-aged steaks at incredible prices. All steaks are hand-selected and cut from mid-western steer. Porterhouse, T-bone, NY Strips, the best prime rib in the South as well as lobster and fresh seafood. Cedar's - Come try a taste of authentic Lebanese food. Featuring freshly baked pita bread from our wood oven, healthy lean foods, and fine cuisine you're sure to have a great time. Join us indoors or outdoors featuring a light water mist to cool you off. Get a taste of what a Cheeburger Cheeburger restaurant looks like before the doors open for the day. Imagine you have the place all to yourself. Take a seat at the soda fountain or pull up an old fashioned chair. Look around at the neon lights and neat signs and posters. Check out the cool T-shirts, gifts and collectibles. Turn on the fifties and sixties music. Feels good doesn't it? When the doors open for business, you'll be joined by a lot of people who feel the same way. CiCi's Pizza is a whole new pizza experience. Our gourmet buffet is an all-you-can-eat extravaganza of pastas, salads, desserts and 16 kinds of unbelievably delicious, fresh-from-the-oven pizza - all for under $5. 13605 W. Apopka Vineland Rd. 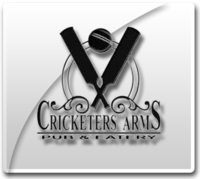 Welcome to Cricketers Arms Pub - Orlando, Florida's Premiere Authentic English Pub. One of oldest and most popular British Pub's in Orlando, Florida. Located at Festival Bay Mall on International Drive. MORE CHEESE: The World Leader in Pizza Delivery Founded in 1960, Domino's Pizza is the recognized world leader in pizza delivery operating a network of company-owned and franchise-owned stores in the United States and international markets. Domino's Pizza's Vision illustrates a company of exceptional people on a mission to be the best pizza delivery company in the world. To learn more about Domino's, please visit the links we've provided at the top of the page. Kids receive a donut with any purchase! 13781 S. John Young Pkwy. 5160 S. John Young Pkwy. 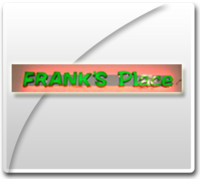 Frank's Place, a sports bar located in a strip mall in the Ocoee area, features daily specials, traditional American cuisine, pool, darts and video games in a friendly atmosphere. The watering hole has a full bar but only serves Pepsi products. If it's Happening in Ocoee....It's Happening at Franks. Got to have your late night SUSHI FIX? Sushi House International, LLC is now open with the newest concept in Universal Studios CityWalk. Feasturing a modern day sushi with a Sake Bar serving up infused sakes, premium sakes, and other imported sake and beers. Open until Midnight on week days and 2 a.m. on weekends. Got to have your late night SUSHI FIX? 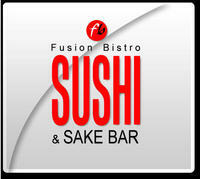 Sushi House International, LLC will open our newest concept in Universal Studios CityWalk. Featuring a modern day sushi with a Sake Bar serving up infused sakes, premium sakes, and other imported sake and beers. Open until Midnight on week days and 2 a.m. on weekends. Your childs meal includes: 4 Piece Califorina Roll with a Chicken Dumpling and Child Soft Drink. *Adult Entree must be a minimum of any 2 rolls or any combination/platter. The family-friendly, sports-themed restaurants offer a fun atmosphere for everyone with big screen TVs, pool tables, video games, great food and friendly service. Our signature grilled wings are flavored with our 15 sauces that have made us famous. We only use the freshest, quality ingredients in all our menu selections including burgers, hearty sandwiches, made-from-scratch ribs, entree salads, and desserts... that will bring you back to Gator’s again and again. Gyro Platter, Chicken Platter, Chicken Fingers, Hamburger, Cheeseburger or Grilled Cheese on Pita Bread. All items come with choice of fries or kids salad. A favorite among locals, tourists and celebrities alike, Hash House A Go Go offers a unique style featuring "farm fresh food with a twist." Famous for creative menu offerings, oversized portions, unique presentation and flavorful dishes using only the freshest ingredients, Hash House A Go Go is home to the city’s best breakfasts, plus one pound stuffed burgers and colossal salads at lunch, and a variety of innovative dishes at dinner. Hash House A Go Go has been featured in TV shows like Man Vs. Food, Rachael Ray’s Vacation, Martha Stewart and Dr. Phil. It’s also racked up awards like the Las Vegas Weekly and AOL Cityguide’s Best Breakfast selections, and Travelocity’s Top Insiders Spot. Whether it’s breakfast, lunch or dinner, make sure to stop by and enjoy this one-of-a-kind eating experience. Our scratch cooking is what truly separates us from the pack. While most casual restaurants use microwaves and pre-assembled or pre-cooked ingredients, everything on our menu is made the hard way - from scratch. From appetizers and salads to entrées and desserts, it's all prepared here daily. 8520 W. Irlo Bronson Hwy. Indian Palace - A spacious dining area with vividly colored paintings and brass chandeliers sets up an elegant backdrop for the well-prepared tandoori dishes, like the seekh kabob, minced lamb blended with herbs and spices served on a simmering hot plate. Our skilled chef carefully sears all the ingredients in our high-intensity works, which results in the outstanding flavor and tenderness for which our meals are noted. Once you try our food, we will win you over! With a rich and extensive menu, there is something for everyone. Whether you enjoy Stir Fry, Chop Suey, Chow Mein, or Sweet and Sour, our experienced chefs serve up delicious meals - choose your favorites or try something new. There are the famous House Specialty Dishes and a selection of vegetarian and light dishes to please to every taste. Only the freshest, highest quality ingredients are used, allowing our chefs to create healthy dishes, cooked to order and bursting with natural flavors and authentic seasonings. Welcome to an exciting restaurant. 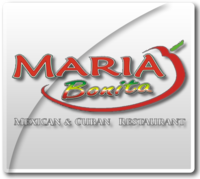 Here at Maria Bonita, we bring the feeling, energy and taste of Mexico and Cuba to your community. We want you to savor our passion for fresh ingredients, listen to traditional music, enjoy the authentic furnishings & colors and have the time of your life. It's all about having a special place to call your own. For your family, for your friends, for your date...It's all the things you want when you go out.Large groups can be accommodated for your event, Office, Birthday Party, Baby, Bridal Shower or Rehearsal dinner. You can choose from open menu, limited menu or Buffet (min. 30 people). We can help you plan the perfect dinning-party experience. For catering, our goal is to bring the same quality scratch cooking we offer in our restaurant to your event. We pride ourselves in customizing our menu for our customers and give uncompromising professional service with great tasting food, after all, it's your event. Our job is to make it more enjoyable to you and your guests. We serve the world some of its favorite foods - World Famous Fries, Big Mac, Quarter Pounder, Chicken McNuggets and Egg McMuffin. McDonald's is the leading global foodservice retailer with more than 32,000 local restaurants serving more than 60 million people in 117 countries each day. More than 75% of McDonald's restaurants worldwide are owned and operated by independent local men and women. Our rich history began with our founder, Ray Kroc. The strong foundation that he built continues today with McDonald's vision and the commitment of our talented executives to keep the shine on McDonald's Arches for years to come. High quality Bistro Gourmet available at many of our restaurants and catered events. Exceptional chef prepared recipes prepared with loving care for you, blended with the classic McDonald's menu featuring such items as paninis, fresh wraps, delectable desserts, and at select locations hand-tossed pasta and gourmet breakfast. This Bistro Gourmet line can be found in five unique and inviting atmospheres. Each location is themed; ranging from the World’s Largest Entertainment McDonald’s and PlayPlace to a European Cafe theme to even a Motorcycle theme. Each location is an experience all of their own. Make sure to visit them all. 6875 W Sand Lake Rd. 7344 W. Sand Lake Rd. Jack and Claire Miller moved from Philadelphia in 1973 and soon opened the first Ale House Restaurant in Jupiter, Florida in 1988. This successful casual-dining restaurant chain attracts customers from all walks of life by offering great Food and Drinks at an incredible Value. The chain has grown steadily, but conservatively, with a total of 50 restaurants throughout 5 states, as of January 2010. See the "Locations" tab for specific locations.Since its inception, the Ale House has continued to develop into a classic restaurant success story, to include being named as one of Nation's Restaurant News' "Regional Powerhouse Chains". The Ale House continues to build a strong base of enthusiastic, loyal fans. In fact the Ale House's Company Mission statement is simply... "All Actions Create Raving Fans". When an Ale House Restaurant opens its doors, it quickly becomes identified within the local neighborhoods as the ideal meeting ground for people to come and relax, have an enjoyable lunch or dinner, socialize with friends, watch a sporting event on one of the largest collections of HD TV's to be found, or bring the entire family in for a great meal and have some fun. In fact, the Ale House motto represents that the Ale House is a "reel great place to catch a good time!" Designed to attract a broad variety of customers, the Ale House menu focuses on Food quality, Freshness and Value. The menu offers delicious Steaks, original Pasta dishes, fresh Seafood, healthy Salads, robust Sandwiches and homemade Desserts, served within the comfortable social atmosphere of a neighborhood family tavern. All Ale House restaurants contain a full-service bar featuring wine, liquor and over 75 varieties beer. Two featured proprietary items include "Zingers®" (boneless chicken wings coated in a choice of sauces) and a homemade ice cream cake dessert known as "Captain Jack's®". Ming Court - Orlando's Best Chinese Food on International Drive Established in 1989 by the Wu and Chen families, Ming Court embodies the art of innovative Oriental dining in a spectacular setting based on the centuries-old architecture of the Ming Dynasty. Situated on two acres and surrounded by one of the most beautiful garden settings, Ming Court features an extraordinary selection of award winning Dim Sum, Sushi, Wok and Char-Grill cuisine. Whether planning an intimate dining occasion overlooking the Koi pond and gardens, dining out with family and friends, or if you need private dining in Orlando or meeting space in Orlando, Ming Court will be one of those special places you and your guests will always remember. Special Kids Box featuring their choice of chicken, beef, or pork. 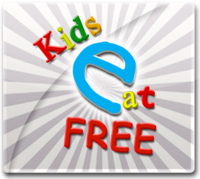 One free child's entree for children up to 11 years of age with purchase of an adult entree valued at $12.95 or more and upon production of a valid Kids Eat Free Card. This special offer may not be combined with other discounts or promotional offers and may not be used for take-out orders. Offer has no cash value. NBA City was established in August of 1999 at Universal Studios Resort in Orlando, marking the NBA's debut in upscale, casual dining. 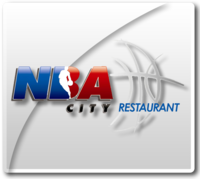 Since its opening, NBA City has been twice voted "Best Theme Restaurant in Orlando" by the Orlando Sentinel. The restaurant's menu features a delicious mix of fresh and high-quality American cuisine, including grilled steaks, hamburgers, fresh pastas, brick oven pizzas, salads, and sandwiches. All of the desserts are made from scratch and are sure to please anyone's sweet tooth.NBA City Orlando's design is dramatic yet warm and comfortable, reminiscent of the classic arenas from the 1940s and 1950s. A 33-foot tall statue of the NBA's "Logoman" greets guests as they enter. The restaurant is 17,500 sq. feet and seats up to 352 on two levels. Private party space is available from an intimate VIP room for 25 to a cocktail reception for 800. NBA City Orlando is a complete dining and entertainment experience with exclusive programming, created by NBA Entertainment from their video archives, an interactive area where guests can test their basketball skills, a bar/lounge with an exciting atmosphere to watch the game, and a retail store where guests can find exclusive NBA City merchandise along with authentic NBA gear the players wear. Pacino's Italian Ristorante is family-style Italian dining in an unforgettable setting. The menu features specialties handed down from generation to generation. 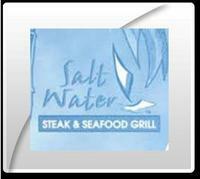 Special emphasis on pastas, the freshest seafood and mouth watering steaks grilled to perfection over open flame. Our two-story brick restaurant gives you the feeling you are dining in an open air terrace in Sicily. The main room features a view of our beautiful copper Sicilian open grill which allows guests to watch their food being cooked to perfection. Make reservations for your romantic dinner for two in the wine cellar for an unforgettable experience. 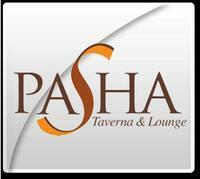 Pasha Orlando offers a titillating blend of North African and Mediterranean cuisines in an authentic atmosphere. The title of Pasha has for centuries been an honor given only to the highest ranking persons with polished and sophisticated tastes. Here you will be treated like a true Pasha, with aromatic dishes to tease the senses. Our Pasha Hookah Lounge opens every night with the latest blends of molasses tobaccos from all over the world. Orlando has been waiting, and Pasha delivers! The very best in Indian cuisine can be found here at Passage to India. Located in the midst of the theme parks on Westwood Blvd in Orlando, Florida, we pride ourselves in serving only the best in Indian cuisine. Our numerous reviews and awards speak for themselves. Amongst other things here in our site you'll find information about who we are, one of our favorite recipes, how to contact us, and our menu in addition to a special offer for our Internet guests. This full-service Italian restaurant offers a la carte or "family style" dining in a colorful Mediterranean setting. The open kitchen enables guests to see chefs prepare mouth-watering dishes such as oven-roasted pizzas, pastas, seafood and steaks. 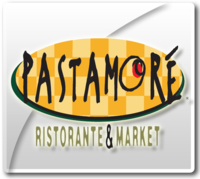 You can dine on the Italian specialties inside, or eat al fresco at Pastamoré's Market Cafe. Here you can grab some breakfast on your way into the theme parks or sit down for a quick bite and some people watching. Enjoy abundant portions of traditional Italian dishes in the ristorante. There?s pizza and flatbreads, Risotto Angelina, Baked Lasagna, Seafood Fra Diavolo, Linguini and Clams, Chicken Marsala, Pasta Primavera, Five Cheese Ravioli, Spaghetti and more, as well as grilled specialties, appetizers, soups and salads. Be sure to leave room for Cannolis or Tiramisu for dessert. Welcome to the Party! Pat O'Brien's motto since 1933 has been "Have Fun!" and people from all across the globe have experienced just that throughout its History. From the ambiance of the old French Quarter architecture to the Specialty Drinks served, always in a logo souvenir glass, Pat O'Brien's can show you how we "Have Fun! "To remember all your fun at Pat O'Brien's, we have our own Photo Department to take 8X10 Photos of you and your friends. "Have Fun!" at Pat O's! 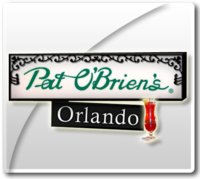 Embrace the moment with a Pat O'Brien's photo...you are welcome to send in a photo for our POB Photo Album. Pat O'Brien's also has a Birthday List and E Club where you can receive an email voucher for any drink of your choice AND a souvenir glass! What better way to celebrate than with the people who originated "Have Fun!" But don't forget, you can celebrate any occasion with a famous Pat O'Brien's Hurricane. "Have Fun!" at Home. 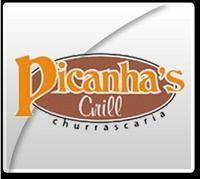 Brazillian Churrascaria with several meat options to please everyone. Ponderosa - Enjoy our All You Can Eat Buffet Spread - featuring Cold Salads, Fresh Baked Bread, Hot Vegetables, Fried Chicken, and Delicious Desserts. Ponderosa is a unique concept. We offer delicious, cooked-to-order main courses at very reasonable prices. We are not just a buffet restaurant, and as a meal or added to your main course, the buffet is an incredible value. We work hard every day to serve the best quality, greatest tasting food and to provide a level of service that goes beyond what most guests would expect to receive in a family restaurant. 7598 W. Irlo Bronson Hwy. 5771 W. Irlo Bronson Hwy. Embark and let your cares fall away. The instant you board Central Florida's heritage river boat cruise you will be transported to a simpler time when nature was king and the river was the expressway to relaxation. 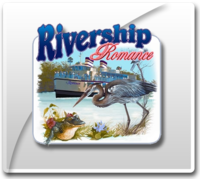 The Rivership Romance carries hundreds of passengers daily on the historic St. Johns River and immerses you in an adventure of dining and dancing while you enjoy Florida's natural splendor. If you're looking for an attraction that allows you to experience Florida the natural way, look no further. This is the true Florida! Located within a 1/2 mile from the doorsteps of LegoLand, SaltWater Grill offers seafood and many other menu options in a casual family friendly setting. Howdy, Ya?ll! We like to keep things simple. Our formula to being the best in the business is very simple: We serve great tasting, high quality food in a fun atmosphere at a decent price. Our flavors come from the Southwest as well as regional favorites, and we use recipes that have been in the family for a long, long time.Every day, we age and hand-cut our steaks, bake our yeast rolls and make our famous sauces in each restaurant?the fresh way. We value our local communities and are committed to supporting the activities that are important to our guests. We currently employ more than 2,000 employees in over 20 locations in the Southeast and Oklahoma. You?re opinion matters to us so let us know how we?re doing. About the Peanut Gallery Join the Peanut Gallery today to get discounts, notification of promotions and a little something extra for your birthday! Please let us include you in our email incentive program. 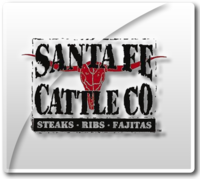 You?ll receive special offers for your neighborhood Santa Fe Cattle Co. Your information will not be shared. We hate junk mail, too! 13520 S. Apopka Vineland Rd. Our Orlando restaurant menu includes truly gourmet Indian Cuisine and Indian sub-continent choices for a unique dining experience. Indian cuisine has inherent influence of Moghul Emperors lavish style. 12195 S. Apopka Vineland Rd. 7602 W. Irlo Bronson Hwy. All of the taste - non of the Guilt 38 Smoothies Under 300 Calories - Angel Food - Light & Fluffy - Muscle Punch and many other flavors to choose from. 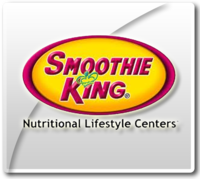 Choose from any of our 38 (20 ounce) smoothies that can be made under 300 calories Place your order and simply say... make it under 300** Under 300 selection is without turbinado. Note: The Gladiator, Green Tea Tango, and Yogurt D-Lite listed will be made with no fruits or fruit juices. Adding fruit or juices may bring the calorie count over 300. Spring Roll Chinese Gourmet is a sit down restaurant that keeps you coming back for more! All your favorites are served here! Beer and wine are available. SUSHI House offers world class sushi in a warm, romantic setting. 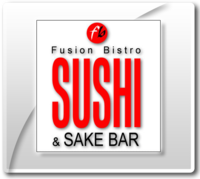 Famous for the freshest sushi, Sushi House also has a great modern and traditional menu featuring flamed rolls, tataki, incredible new Japanese Fusion Sushi, and a great selection of exclusive sakes and wines, as well as delicious Beers. Tabla is the finest Indian restaurant in Orlando. We offer authentic Indian cuisine. Our master chef and the entire team at Tabla have been part of some of the best kitchens in India. We bring them together to give you a taste of great Indian food which you have been missing here in Orlando. We use genuine Indian ingredients that give our food the exotic aroma and the taste that only the food cooked in an Indian kitchen would match. Your love for Indian food has helped us complete amazing four years in Orlando and become one of the most loved Indian restaurant here. If you love Indian Cuisine, you would love us too. It is time to pamper your taste buds and experience the yummiest deals you would hardly find at any other Indian restaurant.